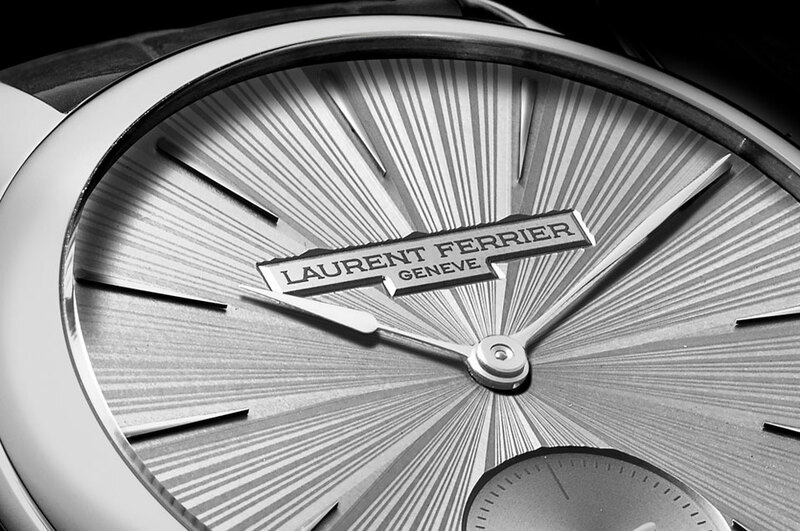 Elegant proportions, "boitier de forme" and a shaped movement for the new Laurent Ferrier Bridge One. 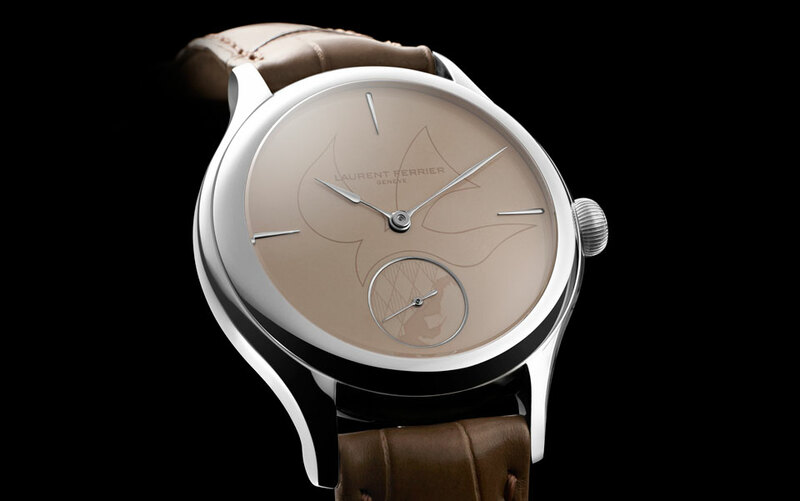 For almost a decade now, Laurent Ferrier has gained a reputation for the beauty of its movements but also for the purity and elegance of its cases – the so-called signature Galet (pebble) case, with sleek, smooth lines. This creative classicism has defined the brand and all of its models. For the SIHH 2019, things are about to (slightly) change on the mechanical and design front, with the unveiling of a brand new watch. Featuring a new rectangular case and a shaped movement, still as pure as a Ferrier watch should be, meet the Laurent Ferrier Bridge One. 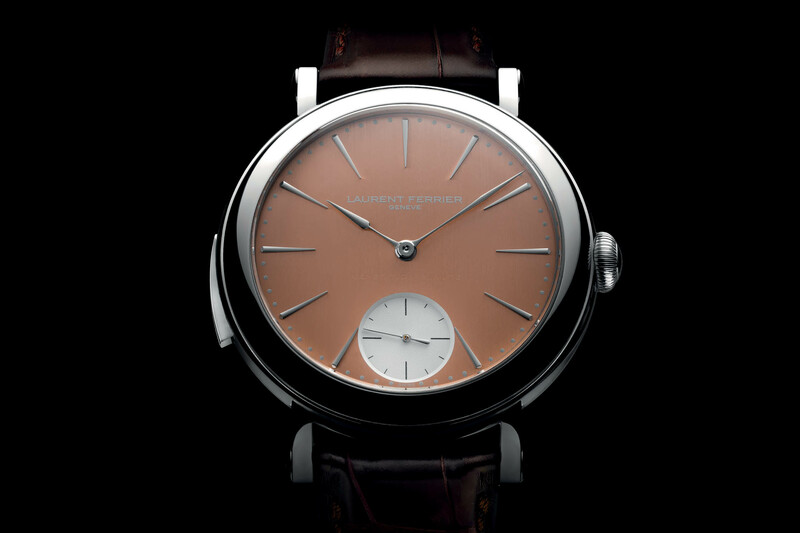 Round, smooth, free of any aggressive lines or sharp angles… This is how I’d define the design of Laurent Ferrier – and knowing that his watch was named Galet (pebble in French), I guess Monsieur Ferrier will agree with this statement. This design was guided not only by visual feelings but also by the way the watch should feel when touched – something often forgotten but that is still extremely important for the wearer. 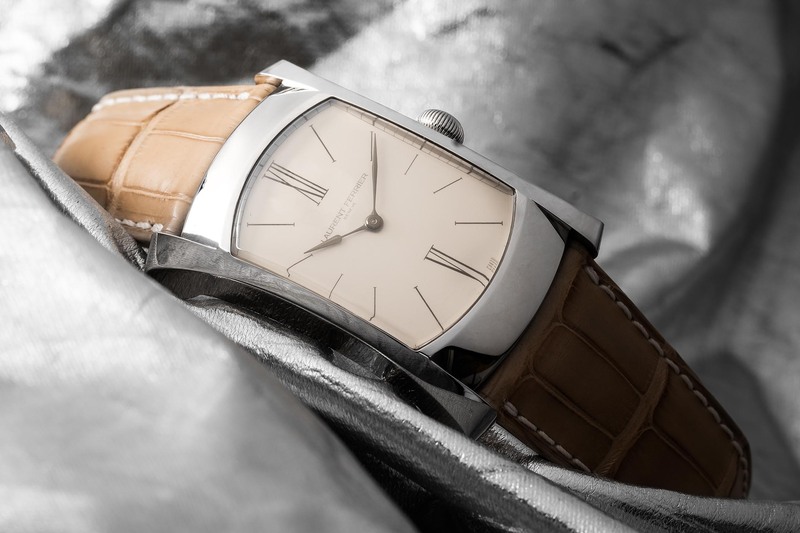 While not denying his motto, Laurent Ferrier innovates for the SIHH 2019, with a brand new design that marks a departure from the classic round cases of the Galet and Montre Ecole. 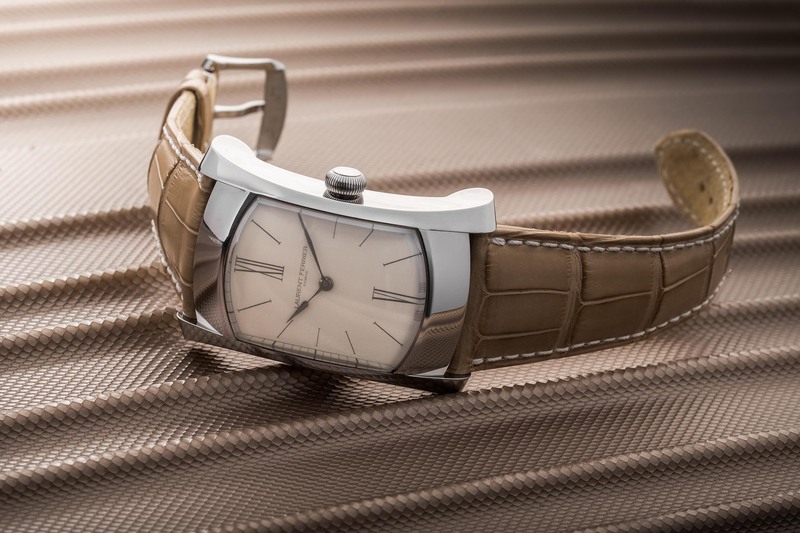 The Bridge One, LF’s new piece, is a shaped watch, with an arching rectangular shape. 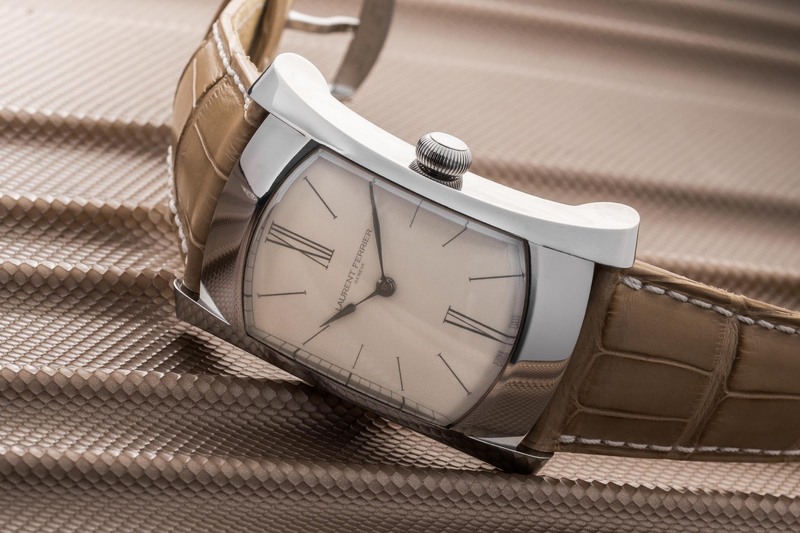 It is “the beginning of a new line inspired by the Passerelle de l’Ile, a very famous bridge in Geneva, on which Laurent Ferrier had a breathtaking view from his room when he was a child.” Thus, this new watch isn’t just a rectangular watch, it is more of an arched bridge over the wrist. Curved, angled, it is actually very complex but still sleek and smooth. The shape of the Laurent Ferrier Bridge One isn’t totally new though. It was tested before on a very special watch, the Arpal 1, the result of a collaboration with Urwerk. Since this concept piece, the shape has been reworked for more elegance and more classic proportions. The case, in polished stainless steel (also available in red gold), measures a reasonable 30mm in width for 44mm lug-to-lug. A combination of convex and concave lines all around the case produce some nice reflections. Combined with this sleek case is an equally refined dial. For the inaugural version, Laurent Ferrier has chosen a white Grand Feu enamel background with an hours and minutes display. The assegai-shaped hands (one of the most beautiful hands in the industry) are white gold and the hour markers/Roman numerals are enamelled in a slate grey colour. A second version (not photographed) will be presented too, with a grained slate grey dial (not enamel) with a raised XII Roman numeral in white gold and small seconds at 6 o’clock. On top of the case sits a spherical sapphire: “The sapphire is cut as if it was extracted from a crystal ball.” Additionally, the smoked effect, due to the hue on the glass, provides a unique touch to the Bridge One. 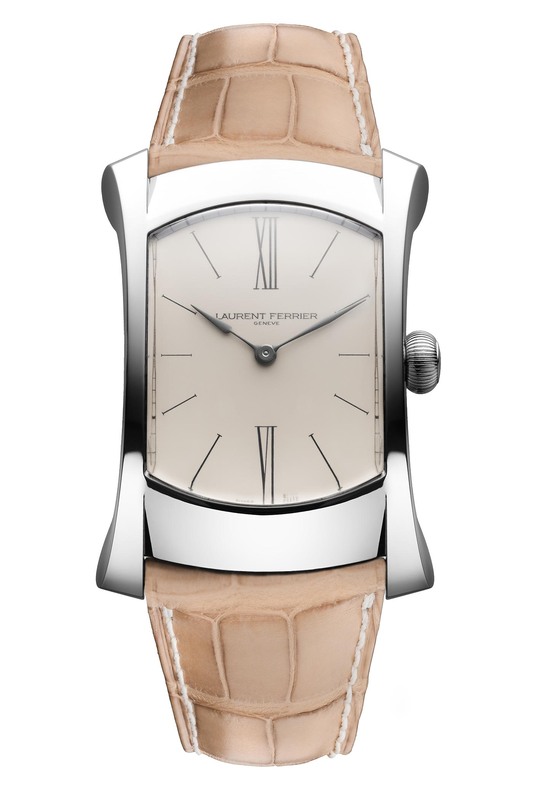 Another novelty of this Laurent Ferrier Bridge One is a new movement, shaped according to the case. 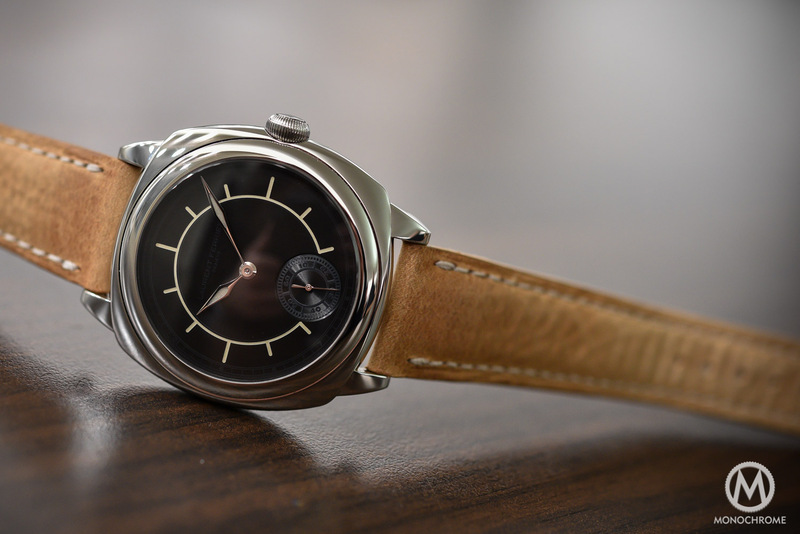 Being relatively narrow, this case couldn’t house the classic round movement of the brand. This movement measures 22.20mm x 30mm x 4.35mm and has a Swiss lever escapement, a 3Hz frequency and 80 hours of power reserve (no more details on the movement, however, specifications are close to the hand-wound movement of the Annual Calendar). Finishing includes Geneva stripes, ruthenium treatment on the bridges, hand-chamfered angles and polished screw heads. The watch is worn on a honey Timberland leather or honey alligator strap with Alcantara lining, secured by a pin buckle (folding clasp on request). 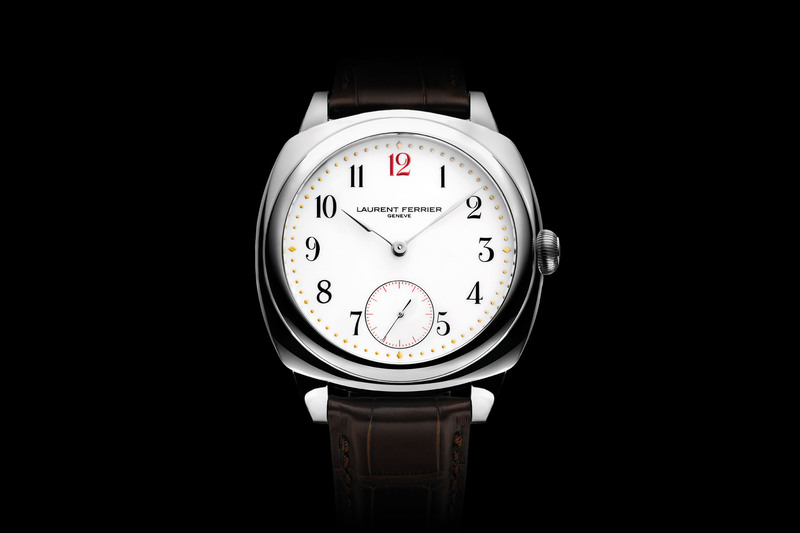 Prices for the Laurent Ferrier Bridge One will be CHF 33,000 (slate grey dial with small seconds, stainless steel case), CHF 37,000 (white enamel dial, stainless steel case) and CHF 48,000 (white enamel dial, red gold case). More details on www.laurentferrier.ch. Beautiful. I loved the case of the Arpal, so this is a delight to see.